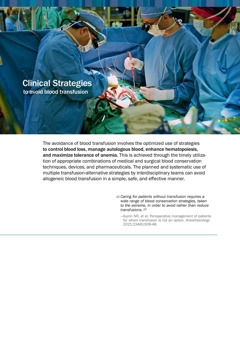 An overview of safe and effective transfusion-alternative strategies applicable to surgical patients. These strategies involve the use of multiple patient-specific modalities throughout the perioperative period. A free worldwide service, available 24 hours a day to clinicians treating Jehovah’s Witnesses.